The purpose of this process is to outline how powered orientation flights will be organized and executed for Summer Hours – Tuesday meeting nights. Each flight may have up to 2 cadets. The 1700 flight will depart from the Anoka Hangar (Nevada West on the opposite side of the airport) and return to the squadron building. All other flights will depart and arrive from the Anoka Squadron Building. All cadets and families will be instructed to meet at the correct location for their Tuesday flights. Wednesday: Cadet Orientation Flight Coordinator sends email to the o-flight pilots. Pilots submit their availability to fly. Plane availability will be secured by the squadron commander. Thursday: Cadet Orientation Flight Coordinator opens registration for o-flights for the coming Tuesday. He/She will offer priority to cadets who have no flights or the fewest flights. However, availability and filling the flights will be a factor. Sunday: Flight times, cadets and pilots should be confirmed. Cadet Orientation Flight Coordinator should personally call each cadet to confirm the flight. During that call, cadet orientation flight coordinator should let each cadet know that he/she will receive an email with their flight details and instructions. All email confirmations should be sent to the pilot, cadets, parents and the Flight Release Officer. By 8pm Sunday, all spots should be confirmed. Monday: Pilots can prep and input cadet names into WMIRS. Flight Release Officer can review and release flights for Tuesday. Instructions: Please fill out this form completely. Attention to detail is important. If you do not submit all required information, you may not be contacted for a flight. Make sure you check with your parents before signing up for an o-flight. Do not prematurely sign up without confirming you are actually available. Prerequisite: You must have a full ABU, BDU or Blues uniform in order to fly. Even if we have PT night, you must bring a uniform if you are scheduled to fly. Additionally, cadets must be under age 18 to go on CAP orientation flights. 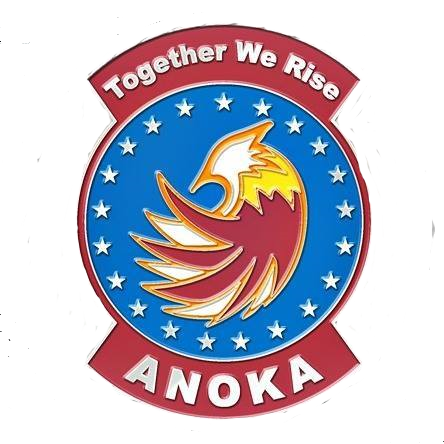 Anoka will conduct powered orientation flights every Tuesday evening as long as the weather cooperates and pilots are available. There are 3 standard flight times: 1700-1800, 1810-1910 and 1920-2020. Please indicate your availability for all 3 times. Please be as flexible as possible so we can fill every seat in the aircraft. We will make flight assignments no later than Sunday at 8pm. Cadets who are offered a flight slot will receive a phone call and an email confirmation. If you do not receive a confirmation phone call and email, we were unable to offer you a flight that week. Our priority will always be to offer flights to cadets who have not flown yet. This will be balanced with filling the plane in a timely fashion. Please arrive 15 minutes before your scheduled flight. If you have a later flight time, your pilot may meet with you at the squadron building prior to departure. Be sure to tell your flight staff that you have an o-flight so they know you will be in the air for part of the meeting. 1700 Flight: Be at the Anoka Hangar on Nevada West at the Blaine Airport for departure. Other flights: Be at the squadron building for departure. All flights will return to the squadron building. Be in uniform. ABUs/BDUs or Blues. If the uniform of the day is PTs, you must bring a uniform in order to fly. You must have your CAPID on your person in order to fly. Bring a water bottle. If the weather is cool, bring a jacket, hat and gloves. It takes a lot of work to coordinate these flying opportunities. If you have an unavoidable conflict, we expect at least 24 hours notice so we can try to find another cadet to take your place. Please be courteous of those who are giving their time to give you these opportunities to fly. This process only applies to Tuesday meeting night flights during Summer Hours. Pilots may contact cadets if they have availability to fly on other days of the week. How those flights are organized will be the responsibility of the individual pilot.